Instead the 75-year-old managed to accuse them of an “exotic sprezum” – to the bemusement of the Brighton audience and mirth of online commentators. 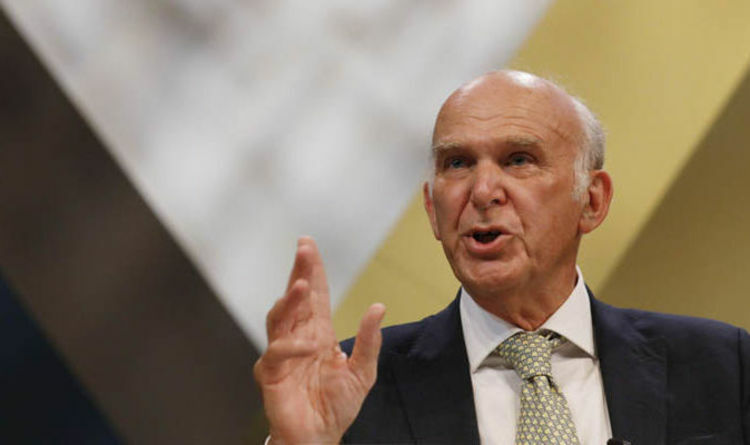 The gaffe had Sir Vince visibly grimacing and could intensify pressure on him to accelerate his plan to step down as leader “once Brexit is resolved or stopped”. His speech to party activists included several colourful snippets designed to grab the headlines. In a sustained attack on Boris Johnson he referred to the Tory’s newly-announced divorce and called him “a real danger to Britain”. He also said Mr Johnson and Donald Trump were increasingly “twins” in their “cynical disregard for the truth, their treatment of women and inflammatory divisive language”. Sir Vince bemoaned that globalisation was too often “a move from skilled and respected jobs to c**p jobs”. He urged the Lib Dems to be less “pale and male” and offer a home to millions, including mainstream Labour and Tory MPs and voters dismayed by how the two main parties had turned “from broad churches into intolerant cults”. He insisted Brexit “can and must be stopped”. But he reached out to Leave voters saying he understood their concerns and that wanting immigration to be managed was not racism.